Find out the tips to become a successful back-to-school shopper without falling into debt. End of summer means, start of a new school year, which deliberately force all parents to make huge expenses on back-to-school supplies. According to the National Retail Federation (NRF), each year an American family would spend more than $600 to buy back-to-school supplies. However, a college-age student requires more supplies than a school student. Thus, the pressure of such huge expenses may lead the parents into debt. 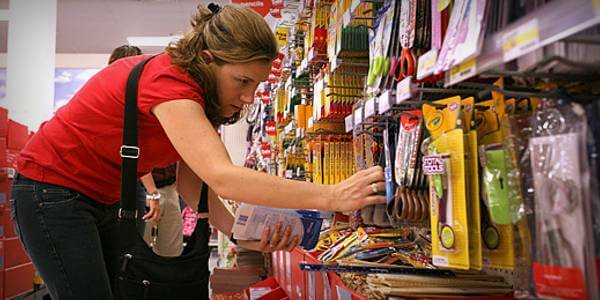 A survey claimed that - in 2014, more than 25% of the shoppers have used their credit cards for back-to-school shopping. If they fail to pay off the bills, then they will fall into debt in near future. So, you need to be very conscious while shopping for school supplies during back-to-school season. According to the experts, parents can avoid debt woes while shopping for their back to schoolers. But, for this, they need to have a proper budget, an optimized list and the urge to grab the best deals out there. Laura Rowley, author of the book "Money and Happiness," said, “some parents can do it for half that by sticking to a back-to-school savings strategy and being proactive with sales and wardrobe recycling.” So, whether you’re a parent of a kindergarten or a college-age student, you can complete your back-to-school shopping without accumulating massive debts. Here goes some tips which will help you to become a smart back-to-school shopper this year. You need to start the shopping from your home first, before hitting the stores. Take a close look at your closet, desk, wardrobe to find out unused notebooks, pens, binders and other school supplies. Using cash will help you to stay within your budget. Because, paying with cash allows you to shop less and stay within your budget. Well, using credit cards may ease your shopping crave, but be sure to pay off the bills as soon as possible. Or else, you'll acquire the interest and may fall into credit card debts. Most of the people target the weekend for shopping. But, some departmental stores start their sales on Thursday. So, try to take advantage of the weekday sales to save money on your shopping. Tax free days are great to save money on school dresses, socks, computers, shirts etc. During this time, you can shop without paying sales tax on your purchase. Some states have tax holidays in the month of July to August and some have in the first week of August. Try to find your state’s tax free holidays and shop accordingly. Garage sales are great to get cheaper school supplies. You can get gently used shoes and clothes at a lower price. To get deals and discounts, follow your favorite stores’ social media profile (Twitter, Facebook). Many companies will send the first update about discounts and coupons to their loyal followers. Thus, you’ll be able to get the advance notice of sales. Having plenty of credit cards can help you to get reward deals on back-to-school purchase. Some credit card companies offer their quarterly reward deals for some specific items. But remember, you need to sign up almost at the beginning of the quarter to get this offer. Gerri Detweiler, Credit.com’s personal finance expert said, “You have to pay attention and sign up beforehand, at the beginning of the quarter.” So, if you have more than one card, then there's a chance to enroll into back-to-school reward program at the beginning of the quarter. Older children can insist you to buy the latest and branded items which are more pricey than items that are available at the consignment stores. But, you should not agree with them. Try to make them understand the value of money and make a list of required things. Thus, you’ll be able to set a limit on your back-to-school shopping and maintain the budget as well. Don’t forget to search for coupons in your Sunday paper. However, some websites also have back-to-school coupon codes. Even some stores offer price and coupon matching. You can ask them about the price match as well as the upcoming sales. Before buying your back-to-school supplies you should consider comparison shopping with at least 4 other sources in order to get the best deal. Try to not rush for the shopping. Search on the Internet and find out if there is any better deal than the physical store you shop most of the times. There are many apps that help to find the best deals and compare the prices available in stores. These are: Favado, The Find, ShopAdvisor, SaleSorter and PriceGrabber etc. You should set aside some amount of money every month. Thus, you can use the money for back-to-school expenses. Thus, you won’t have to cross the budget during the back-to-school month and can manage all the expenses properly.